Venue: 1117 Budapest, Magyar tudósok körútja 2. Substitutions may be made at any time, but please advise the organizers about the change of name. If you find it necessary to cancel the registration completely, please notify the organizers immediately. Provided written notice is received by 31st July 2018, a full refund will be given less a 10% administration charge. Provided written notice is received by 31st August 2018, a 50% refund will be given. Please note, registrations cancelled after 31st August 2018, or for no-shows at the conference, the full fee (100% cancellation charges) will be payable. If it is needed, we can help you to find a hotel. From Sensation to Synergy, and now the 8 Box Method of case-analysis takes these ideas one step further. The 8 box method is the latest and the most successful tool so far in Dr Rajan Sankaran’s development of the practice of Homeopathy. The 8 Box Method is based on the concept of ‘exactness’ and ‘completeness’ and includes all the tools developed so far in a very harmonious way for getting the most consistent results in practice. In this seminar Dr Rajan Sankaran will delve into the finer nuances of case taking and analysis. He will explore the idea of identifying the pattern that underlies the various aspects of the case, and how to translate such an understanding into a remedy. He will also illustrate the subtleties of case taking and analysis. All this would be illustrated with several cases including pathological cases. This seminar will benefit all students and practicing professional homeopaths. 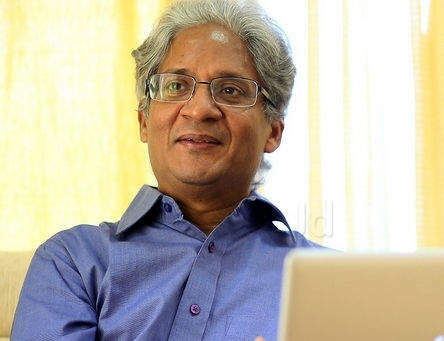 Rajan Sankaran, MD (Hom), FSHom (UK) is an internationally renowned thinker, teacher and writer of the homoeopathic system of medicine. He is reputed to be a clear and original thinker and is best known for his path breaking concepts in homoeopathy. His understanding of disease as a delusion followed by his discovery of newer miasms, classification of diseased states into kingdoms (viz. plant, mineral and animal) and the seven levels of experience, brought in much more clarity into understanding diseased states. This paved way to one of the most path-breaking concept of eliciting the vital sensation in the patient, the common thread of experience which runs through the patient at all levels. This method, popular as ‘Sensation method’, was yet not the end of the untiring efforts to simplify the system of homoeopathic practice. The Sensation method has now evolved into a more comprehensive and synergistic approach, which strongly advocates to encompass and integrate the old, classical and traditional approaches with the latest advances. This approach –‘The Synergy of Homoeopathy’, has resulted in a far greater predictability of results than ever before. Dr Sankaran heads ‘the other song—International Academy of Advanced Homoeopathy’, in Mumbai. This academy primarily focuses on imparting advanced clinical training to students and practitioners, integrated with a homoeopathic healing centre. Kérjük, figyelmesen töltse ki. A csillaggal megjelölt mezőket semmiképp ne hagyja ki. Kérjük jelölje, mely napokra szeretne jelentkezni!